The Cyprus Wine Sector celebrated it’s Annual Award ceremony closing 4 days of judging for the 10th Cyprus wine competition. Led by an international panel of judges invited by the department of Agriculture, the event was held again under the auspices of the OIV but hosted by the Union of Cyprus Oenologists. In a contest with 31 participating wineries, the most testimonial proof of the increasing quality of winemaking in this years edition, is that the judges decided not to award bronze medals so as to better reflect the tendency of a higher number of wines earning higher scores. A tally of 52 awards were given, a total 16 gold and 30 silver medals, a Grand Gold and 5 special distinctions for wines vinified with local varieties. While 147 wine labels participated in the competing categories of the 10th Cyprus Wine competition, a worthy mention must be made about the growing number of special mentions for vinified with local varieties. Promara, Morokanella and Mavro have since consolidated themselves in the competition with an ever growing number of references. The special distinction for vinification with top local varieties Xynisteri and Maratheftiko have had surprise outcomes this year. The counterpart of the special distinctions shine in their own light, while for Commandaria, Aes Ambelis proves its consistency since it’s recent launch, the Promara and Morokanella whites go to the undisputed Vouni Panayia and Gerolemo wineries. Of notable observation is the strong show of rosés, an amazing first, that rosé wines have become real contenders of high quality wines. While on a lower note, the few number of outstanding reds performing in the competition is surprising – this either reflects the imbalance of judging tilting negatively the results and/or, possibly a message sent to winemakers, for the need of more patience when setting the release of their wines. Finally, a subtle observation about the set up for such a small national competition, we found it odd that the line-up of tables in classroom style was one which least facilitated discussion, for sure differences in points at some instances of the judging must have not been easily consensuated with this table format. Grand Gold: Commandaria Wine – Aes Ambelis 2010. The Awards ceremony was celebrated at the Anabelle hotel presided by local authorities and the Director of the Department of Agriculture, in presence of international judges and leading panel of international journalists. The 10th edition of the Cyprus Wine Competition is somewhat a milestone and fittingly, it comes at a time where generational renewal in this young industry can be done in the most of confidence due to the preparedness of upcoming leadership. 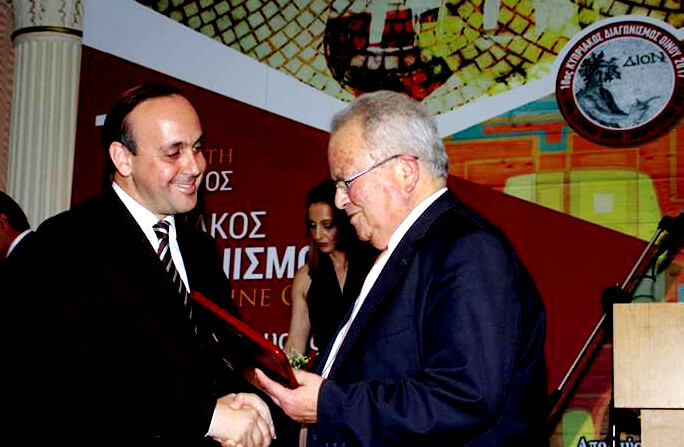 It is in this context, that this years 2017 Lifetime Achievement Award, given at the ceremony went to Mr. Antonis Haggipavlos, honoring his charisma and industrious talent, having contributed to establish Etko and Olympus Wineries at the heart of modern development of Wine in Cyprus. We do wish the Haggipavlu family our very best in these months for a confident transition and congratulations to the Union Oenologists from Cyprus for having hosted the 10th Awards Ceremony. 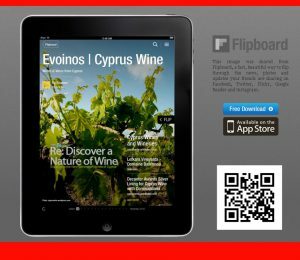 This entry was posted in Wine Competitions, Wine in Cyprus and tagged cyprus wine award, cyprus wine competition. Bookmark the permalink.